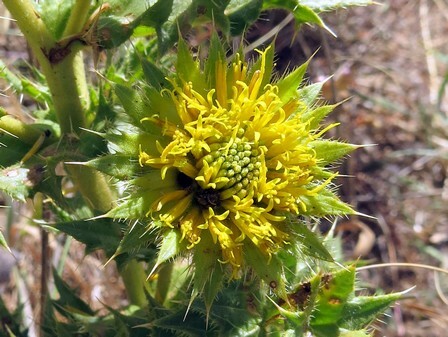 Plants at one known location are potentially threatened by competition from alien invasive plants and inappropriate fire management. Northern Cape Peninsula, Lions Head to Signal Hill. 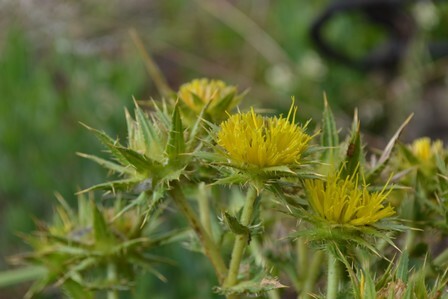 Locality descriptions on historical records of this taxon are very imprecise, but it is highly likely to have lost habitat to urban expansion in the past. 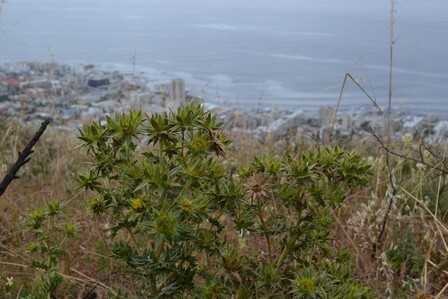 Remaining habitat on Lion's Head and Signal Hill is now protected within the Table Mountain National Park, but requires on-going management in terms of clearing of alien invasive plants, as well as appropriate fire management to ensure the survival of possibly the last remaining population. A rare and very poorly known taxon. 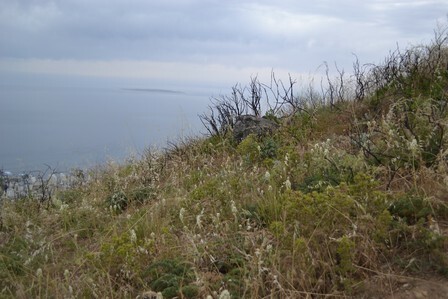 Most areas where it was historically collected have been impacted by urban expansion of the city of Cape Town, and it was not recorded in the wild for over 50 years. 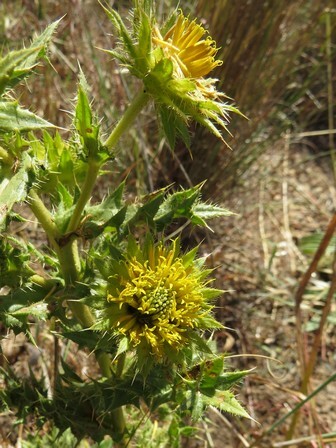 It is an extremely localized endemic to the northern Cape Peninsula between Green Point and Kloof Nek. 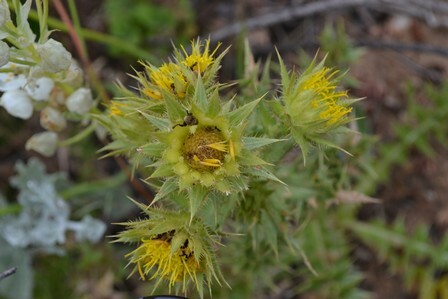 Plants resembling this taxon were recently (2014) found on the slopes of Signal Hill and have been confirmed to be B. carlinifolia subsp. promontorii. The subpopulation is within a protected area, and assumed to be stable, but due to its extremely localized nature it is vulnerable to potential threats that could rapidly impact the entire population. Roessler, H. 1959. Revision der Arctotideae-Gorteriinae (Compositae). Mitteilungen der Botanischen Staatssammlung München 3:71-500.